A guest post by ELT publisher Janet Aitchison, in response to Steve Elsworth’s post, The monetary value of ELT authors. I read Steve Elsworth’s post with great interest and I agree with many things that he says:- For sure, the 1980s and 90s were the Golden Age of ELT publishing – Gill Negus in particular was an inspiration to me as a junior editor; the books I used as a newly-minted, and terrified, language teacher were life-savers, particularly Streamline and the Cambridge English Course. And these courses were indeed written by maverick writers who most likely ‘dragged the publishers along’. Steve clearly has nostalgia for those days and attributes their passing to publishers’ obsession with digital “Toys for Boys” and a disregard for the talents of materials writers. I would respectfully suggest this indicates is a misunderstanding of the dynamics at play in the ELT publishing world, many of which have nothing to do with the digital revolution. Back when the Streamlines, Strategies and Headways first appeared, the ELT publishing industry was very new. There were few course book series on offer, and publishers had the luxury of being able to release new courses book by book, level by level, allowing them to take a gamble on an author’s vision. If the first book in a series was well received, the author would be asked to write more. If not, the publisher would cancel the project and write off the relatively small amount of money they had lost. This just won’t work these days – the ELT publishing industry is mature, and very competitive. To have any hope of winning adoptions publishers have to release all components of all levels simultaneously, with a huge array of support materials and services, the majority of which are given away for free. The level of investment is huge – new courses cost millions of dollars to produce and require enormous staffs to create. Understandably publishers are cautious about gambling such huge sums of money on one person’s vision. Furthermore, it has become impossible for one author, or even an author team of 3 or 4 people, to write all the necessary materials in time to launch everything at once. A large course now requires dozens of writers, all working simultaneously on the various components in order that they can all be published at the same time. This also explains why publishers are typically commissioning writing work on a fee basis rather than a royalty basis these days. Fee-based contracts enable the publisher to divide the massive amounts of writing work up among large groups of writers, and allow the publisher to quickly convert their work to the many different permutations and formats that customers expect these days, both print and digital, without the need for complex contractual negotiations. Despite what some authors may think, this does not save publishers money – those fees are paid regardless of whether the product in question is successful or not, unlike royalties which are only paid when sales start coming in. In citing Noddy Holder’s success with Merry Christmas Everybody, Steve perpetuates the ‘lottery’ mentality of ELT publishing, indeed of all publishing. We look at the Noddy Holders, at the J.K. Rowlings, at the Abbs and Freebairns, and we think that just given the opportunity, we too could enjoy their success, and their royalty checks. In reality, only a tiny handful of authors have hit the jackpot from ELT writing, just as very few novelists hit the best-sellers lists, and even fewer pop songs remain popular for forty years. Over the years I have seen too many authors – talented, hard-working individuals every one of them – be disappointed by their royalty earnings, despite hundreds of hours spent writing excellent, creative materials. Many stars need to line up to create a best-seller – great writing, of course, but also favorable market conditions, a design that appeals to the target customers, appropriate pricing, well-executed sales and marketing strategies, even the choice of title can make or break a course book. Despite everyone’s best efforts to understand and control all these dynamics, publishing is still a risk business, and not every product commissioned is successful. Consequently there is a lot to be said for being paid up-front fees for writing work. All too often writers do not earn enough in royalties to cover the hours they spend writing. They deserve fair payment for their hard work, not a gamble on an outcome over which they have little direct control. 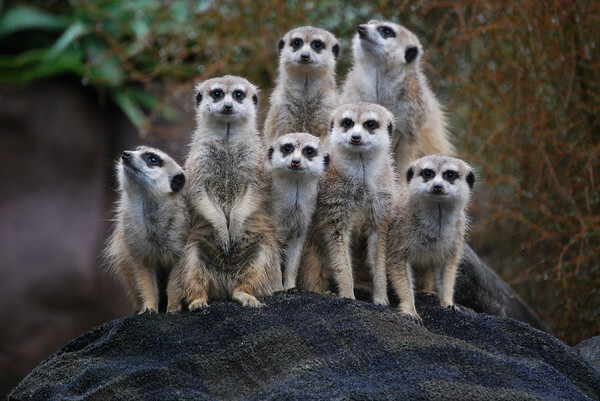 Steve’s meerkat analogy resonates – publishers are nervous. They’ve seen the music industry side-swiped by iTunes, travel agents deposed by Expedia, the demise of Kodak which could not transfer its powerful brand to the world of digital photography. Will the same fate befall ELT publishing? It is indeed challenging to reinvent a publishing company as a digital start-up while simultaneously maintaining the centuries-old print publishing side of the business which, for now at least, is paying the bills. The worst thing publishers could do now is to bury their heads in the sand and hope the whole ‘digital thing’ goes away. Fortunately, few publishers are. Instead they are looking for ways to exploit the potentialities of digital media to improve language teaching products. These days there are fantastic opportunities to use data gathered from LMSs to provide better learning experiences for students. Data analytics may sound dry and dull to many of us in the ELT world, but if the information it provides allows us to personalize a students’ learning, can match content to an individual’s preferred learning style, can improve the overall language learning experience, what’s not to like? Isn’t that exactly what we all want for the world’s language leaners? Not all publishers think there is no place for writers in the digital future. The writers’ role and the means of remuneration will be different from what it was in the heyday of ELT publishing, no doubt, but any publisher worth their salt knows that however clever the software, however many bells and whistles it has, without well-written, motivating, fun content, students will not engage and will therefore not succeed. Those digital products that enhance what teachers do best – that is, motivate and teach learners – will succeed, and all the badly-written, boring and ineffective products will, quite rightly, be consigned to the digital dustbin. The challenge facing us, publishers and writers alike, is to find the sweet spot that perfectly marries great materials writing with learner- centered digital platforms. Janet Aitchison has worked at Pearson, Oxford University Press and Cambridge University Press. Her comments above are purely personal and should not be taken to represent the official views of any publishing company. Grammar notes – If + present tense + present tense – sometimes called the zero conditional, and used to talk about things that are generally or always true, and where the meaning of ‘if’ is close to ‘when’ or ‘since’. But the propositions that follow are highly contentious. It’s extremely debatable whether data analytics can allow us to personalize a student’s learning to any meaningful extent. There’s also a strong research consensus that mapping content to learning styles does not work, and cannot work. And there’s certainly no evidence whatsoever that data analytics an improve the overall language learning experience. If you problematize debatable propositions, there’s is potentially a lot not to like. Most definitely not what we want for the world’s language learners. Philip, I defer to your greater knowledge in this realm. I agree that we’re very much at the starting line in exploring such things, and the benefits for language learning are yet to be proven so the unreal conditional may indeed have been preferable in this instance. But the overall thesis of my post remains – rather than looking wistfully back to the good old days, any publisher worth its salt is proactively seeking out ways to evolve with the times, which is likely to mean reshaping their business, and the very nature of their language teaching products. Personally, I’m not against fees for ELT writing, but why is it that time and again (and for different publishers) I find that at the end of the day, my fee works out at an hourly rate way below that I’d get for editing or proofreading the same material? What publishers don’t seem to realize is how much time and work goes into writing and how to set an appropriate fee. If you want quality ‘content’ – in whatever form – you’ve got to recognize the skills and expertise of professional writers and pay them appropriately. You have a good point. Publishers could probably get better at pricing out writing fees. Many editors have only worked with authors on royalty contracts, and probably don’t yet have a good sense of the amount of time it takes to write and revise (and revise and revise) material to bring it to the necessary standard. Presumably, market forces will sort this out in the end – if writers feel they are not receiving adequate compensation for their work they will cease to take on writing projects. The publishers will then need to increase their fees to attract them back. That message also needs to get out to prospective new writers, given they are probably the main thing keeping writing prices down. Do you think, given your experience, that publishing houses would like to control the whole teaching-learning process in the end? By that I mean not only produce all the materials (in even smaller bits and pieces that can only be combined in house) but also own the distribution process (schools, online training) and the accreditation process as well? Does this disintermediation of writers presage the eventual disintermediation of teachers? I am wondering if the way writers are being treated doesn’t suggest that publishers are also interested in dissolving their roughly equal partnerships with schools and teachers as well. Are they preparing to move from symbiosis to predation? Is there anything that would suggest the opposite? Michael – One can surmise by looking at the behavior of companies like Pearson that some publishers do indeed have ambitions to control the whole process, end to end. However, other publishers do not have such radical plans and are responding to changes in the business environment in a different manner. It certainly seems to be the case that teachers have less control over the choice of materials they use in their classrooms than in the past, so one could contend that they are subject to disintermediation, but this does not seem to be the result of anything the publishers are doing but rather because of market forces that are completely out of the publishers’ control, such as the consolidation of language schools into mega-chains and the top-down imposition of curricula by education ministries and the like. If one looks one sees that publishers do not want nor desire to control the distribution of their products. Notice none own bookstores. Ergo, why would a publisher want to own (control) a school or a school system? Regarding pay for ELT contributors. The costs of bringing a product to market and then selling it is – as noted – in the millions. There really is not that much left over (profit) after royalty or work for hire agreements signed by the author(s). The proposition that someone (the author) is getting “screwed” does not hold water. The publisher is investing money and the author time. This is especially so when one considers that elhi publishing is a real “crap shoot” and a failure is a direct cost and a very expensive lesson. That is why there are now so few in the game. A blue ocean theory refresher: To analyze an industry you first think about what matters to an industry and what doesn’t. Hotels might value comfort, privacy, price, etc. They might not value excitement, artistry, etc. How you rate each thing creates a graph called your value curve. When companies have the same value curves, business is hard. To get to a blue ocean, you change your values. A hotel might stop worrying about price and add a new value like artistry. If the new value curve is a lot more successful, then everyone switches or shrinks. So, the question is: what’s on the value curve for ELT publishing? Which things should be there and why? What new things should publishers add? Hi Janet, I enjoyed your measured and clearly argued article, and its helpful to hear the concerns of publishers expressed so frankly and so relatively unencumbered by ‘corporate speak’. But I worry (again) if the ‘conversation’ between writers and publishers is not in danger, at times, of ignoring those other key stakeholders, i.e. the teachers and learners. “While CALL products offer increasingly sophisticated graphics and interfaces, they are not yet able to offer an alternative to human support or interaction”. Nielson, K. 2011. Self-study with language learning software in the workplace: what happens? Language Learning & Technology, p. 125. It seems to me to be a little short-sighted to be investing in materials that effectively ‘disintermediate’ (to use Michael’s word) the teacher, when it still seems as if the difference between successful and less successful learning experiences is less to do with the materials or the technology, and much more to do with the teacher, and the other ‘people in the room’. I recognize that you are looking for materials that ‘enhance’ what teachers do (rather than ‘replace’ what teachers do) but I wonder to what extent teachers have been involved in the conversations whose aim is, as you put it, ‘to exploit the potentialities of digital media to improve language teaching products’. I thought Jean’s article was a valuable contribution to the debate. For many years there has been a process of forcing a consensus committee choice on the major parts of our work. Syllabus? Topics? Skills balance? They’re all top down, tied to examinations and master lists of structures, topics and situations, which suits publishers. Historically, a large section of international ELT came from a handful of language schools in Britain, or rather even narrower, Southern England. Robert O’Neill, Roy Kingsbury and Jeremy Harmer were all at Eurocentre, Bournemouth, Brian Abbs & Ingrid Freebairn and Norman Whitney were in Ealing; Colin Granger, John Curtin, Bernie Hartley (and I) and Leo Jones were at ACSE, Bournemouth. While we may have been mavericks, all those institutions had Research and Development departments. The material was tested mainly in multi-lingual classes (though Streamline was also used in monolingual groups from Libya, Japan, Venezuela, Brazil) and usually for a long time before a publisher saw it. The reason we were given our head … and we were allowed to dictate the syllabus and content … is that we were in situations with solid research. The number of teachers who had used Streamline in its pilot form was well in three figures. Students? Four figures. We even had an illustrator working in R&D. We had no connection to publishers whatsoever, until we presented them with a pretty near finished work. Then they went to town on design, illustration and marketing. Publishers were using those outside bases. Then that function became centralized … mainly after 1980 when schools could no longer afford R&D departments. Scott has an important point about teachers roles. They may have been mechanical, but Streamline Teacher’s Books were never seen by students. What happened in the classroom all seemed to the student to be coming from the teacher, NOT from the book. In our later Teacher’s Books, like Grapevine, we had alternative routes. In Handshake, we put information on the topic only in the TB, so that the teachers had to get it across in their own words. That’s much better than putting it all in hard print. I’ve seen too many pilot studies. Every possible additional component gets a “Yes!” Do you want a phonology component? Yes. Extensive listening? Please! Spelling section? Good idea. Do you want workbooks? Yes! Do you want whiteboard material? Yes, please. Do you want interaction appendixes? Definitely. Flashcards? Why not? Do you want a free bar of chocolate with every tenth SB? Lovely!… The result becomes textbook series that do EVERYTHING. This is why the publishers need so many writers to get all the levels out at once. They’re publishing too much. It’s indigestible. No teacher can do everything in the course, and if they skip stuff, students believe that the bit that was skipped is dereliction of duty and the skipped bit is in fact the secret key to the English language. Going anonymous since I freelance for many publishers, including Janet’s. What I see from a good decade or so of freelance editing for major ELT publishers is that materials are coming in rougher and rougher, as in-house teams are dismantled and authors with less experience are hired — because the payments are lower. It’s true, as Janet says, that better authors will turn down low fees. But I don’t see that resulting in higher fees; I see it resulting in poorer-quality authors or less experienced authors being hired who will work for whatever they’re offered. Good news for freelance editors, of course, as more of us are needed to do more and more work. But with fewer people in-house, and royalties not on the table, and fewer authors even getting cover credit, there’s also less caring about the final product. I see more of ‘Oh well, good enough. Next!’ With a royalty system, authors cared long-term. Now writers care for a few months, and sometimes only till the terms of the contract are met. I worry that it will be years before those in-house with publishers fully understand the implications of that. I’m also concerned about seeing much rhetoric from publishers about learners’ needs and learner outcomes and ‘what learners want’ — but I don’t see evidence of anyone observing classrooms, talking to students, talking to teachers. I just see marketing slogans. If there is solid classroom-based research going on, then why not let writers and authors know about it? I know my first questions when I start work on a second or third edition of an existing course is about user feedback. Generally there isn’t any. There are some wishes and wants from a few salespeople in various offices, and lots of words like ‘outcomes assessments’, but nobody has any solid data on what students and teachers even thought of the first edition. Just vague things like ‘A lot of teachers didn’t like the art unit.’ How many teachers? unknown. Why didn’t they like it? unknown. You can keep asking questions until finally someone says the art permissions for that unit were too costly. Ah. And was that the major teacher complaint? One wonders. I was going to mention research and data in Scott’s post as the solution to both a lack of creativity/ originality in materials and the opposite problem of meaningless innovation. Obviously it’s difficult to design research that could really prove that a 2nd edition of a textbook teaches “better” than a first edition, but it must be at least possible with exam textbooks and self-study materials to show how much they improve student scores , and it seems like no one is making the effort. I think serious research when writing textbooks is less and less likely because no one really wants it. Teachers don’t want to be told that they can’t actually skip certain bits and throw away the teacher’s book if they want to, chains of schools don’t want something which will mean they all have to have the same approach, writers don’t want even more top-down guidance (however scientifically based), publishers don’t want something expensive that can mess up their carefully laid plans and marketing ideas, etc etc. The only hope for us to really learn something about what learners really need and learn, then, is precisely computer-based learning. I can easily imagine something that computers find out about learners and learning being very relevant to teachers in the completely different environment of the classroom, in the same way that computers have changed completely how humans play chess and how mathematics is done. The problem then is whether the private companies who find out such information with their computers are likely to share it with teachers for free (or even cheap). When publishers talk about the move to digital, it’s mainly about the need to replace print with digital, not a desire to replace classroom-based learning with self-study. It’s partly because publishers are so concerned with continuing to support existing models of classroom-based learning that EdTech evangelists see them as irrelevant dinosaurs – not radical enough and too focussed on trying to maintain the status quo, albeit in digital formats. A comment re data analytics, adaptive learning, personalizing a student’s learning etc. If I was working through a print coursebook I would want it all there, not some pages missing because the teacher thought them not suitable for me. With online learning I would feel even more strongly about this: I would want to go on my own journey through the material, not have software second-guess my route. I’m PreInt. Why not have a look at some Upper Int material? It’s my choice. I’m Upper Int. Why not go back and revise at a lower level? It’s my choice. I like doing grammar/vocabulary/reading/listening one way. True. But I’d like to see some other ways of doing them. It’s my choice. Maybe tomorrow I’ll get bored with my familiar approach to the materials and I’ll want to try something new. Or even opposite. That’s for me to decide. If I pay for an online product (of any kind) I want everything I’m entitled to. How dare the software guide me away from (or even lock me out from) certain areas. That would really annoy me. Janet, my apologies for the mistake yesterday … it’s just that the collocation with Jean is so strong! I did know it was you when I read it. On multimedia and high tech, it is instructive to check out the “Chinese Mike” series of Chinese lessons on YouTube. Just Google “Chinese Mike YouTube”. He teaches in his garage with a board and a pen. And that’s all. He’s a natural teacher, though I think he could have at least taught “hello” in lesson one. But check out what one person with a pen and board can do with nothing else! Interesting to see that ‘Chinese Mike’ is owned by a publisher, Hodder & Stoughton! Janet – thanks for this reply, I very much enjoyed reading it. We have both declared our interests – I’m a writer, and you’re in charge of content strategy at a large publisher, even though you are writing here in a personal capacity. We would expect to have different positions on this issue. I can accept most of your arguments as just differences of opinion – writers are harking back nostalgically to the 1980s and 1990s, the situation has changed, we now need teams of writers, ELT is producing different products, authors bear a risk by taking royalties and it’s generous of the publishers to bear the risk themselves by paying fees instead of royalties. These are positions which of course I would dispute, but I have already made my points in the original article so I won’t bore people by going over them again. I’m afraid I have to straightforwardly object to this. I have been watching publishers shave the money paid to authors over the last twenty years, and in my view this latest initiative is a continuation of the publishers’ desire to radically cut the overheads represented by payments to authors. I can’t back this up with reference to publishers’ financial figures, which are notoriously vague and cloaked with commercial confidentiality – but I can from the numerous posts made on the ELT Writers Connected Facebook page, which shows with depressing regularity how small the modern fees are – and also by friends in the publishing business, either still in post or recently made redundant, who have confirmed that cutting payments to authors is an explicit publishers’ aim. This, I believe, is the crux of the current dispute between publishers and authors. Authors believe that they have a monetary value because they produce the ideas which sell courses. Publishers seems to think that the new technology will provide the content and that authors can be packed into teams that service this. Someone, somewhere, has to have the idea that drives the new digital product. I have yet to see a convincing explanation from the publishers as to how this will be generated. – The first time I did pre-publication reviewing for a big publisher I got about 200 quid. The last time I did it I got a free book. – Someone recently offered me three dollars each for my worksheets. To match my hourly teaching rate I’d need to bang out 16 worksheets an hour, including submitting them online with a short description of each. They weren’t a publisher, but they did seem fairly confident that people would take them up on their offer. Any half-decent adaptive learning product would make recommendations or suggestions based on the results of what you’ve done so far, while at the same time allowing you to choose not to follow those recommendations if you like. A bit like Amazon recommending books to me – they make suggestions, but their entire catalogue is still available to me. Great discussion! I’m really enjoying it. Things are fairly obviously in flux. All too often writers do not earn enough in royalties to cover the hours they spend writing. They deserve fair payment for their hard work, not a gamble on an outcome over which they have little direct control. True. I’ve done quite a few things which haven’t covered my time or costs, but, hey, in this bright new digital world, take a look around. Some stuff on YouTube has 4 million hits (pay is from advertising points). Apple pay 70% on iBooks. Maybe the Brave New World will eliminate the traditional publishers rather than writers. What gets me is the contempt for writers, because that’s what it is. It used to be a joint enterprise with shared risks. Now it’s a MacJob situation, and a lot of it is at less than the minimum wage. It’s not contempt – the level of commitment and risk taken on by a publisher in creating a new course has clearly increased enormously, whilst that for the author has not (as far as I’m aware). No-one has yet offered any reason why that should not change the terms of the partnership. Of course, publishers could (and should) be better at putting in place ways of working which would reduce their level of risk – but that’s another topic. Changes were inevitable, and sometimes we as authors were our own worst enemies. I spent twenty-five years of touring and speaking with marketing reps and editors, and some are still friends. I do know which editor wrote most of the workbooks and exercises, uncredited and unpaid for a major best-selling course. I know several editors who deserved some co-writing credits. I’ve spent many happy hours with designers, and know that in contrast to our incredibly detailed and researched art briefs, many art briefs were “nice picture of London here.” This all causes resentment. I also know how marketing reps felt about authors who never toured. In retrospect, I should probably have kept a cheaper and older car for publisher visits, as there was always resentment about money. I’ve commissioned illustration for non-ELT stuff. I know how much it costs. I’ve been on video shoots with 26 people and a catering van, so I also know that our contribution with script is not the whole story. But I’ll give just one example of change, and this is already ten years old. So it may be nonsense now. We’d meet our free-lance designer and free-lance editor in reception, then we’d walk through that lovely atrium at OUP. In the airy comfortable meeting rooms to our left, men (nearly always men) in white shirts and red braces were poring over spreadsheets. Then we’d go upstairs to a windowless office, where two authors, editorial manager, free lance editor, illustration manager, designer, photo shoot manager, and an assistant editor (nearly all women, apart from me) would crowd in to do the book, sometimes with a plate of curling sandwiches for lunch, though there was the excellent canteen often too. I think the balance of interest and importance on the scale of things was abundantly clear. Spreadsheets were what mattered. And editors were treated worse (they had to sit there every day) and paid less than us, but, yes, we were gambling. I go back to 1977 … really different days. The head of the ELT Division always came in to shake hands and greet authors (not just us, and I know it was a smaller operation). Lunch was in a restaurant with tablecloths. The STANDARD contract was at 10% of published price, the equivalent of 15% of receipts according to publishers, but 16.66% according to my accountant who’d spent ten years in publishing. Travel expenses were always offered on top of that. Believe me, the status of authors within the whole thing has dropped considerably. As I said, often it was our fault. Are publishers taking more risk? In proportional terms? The market has increased hugely in that period. Publishers have been shedding overhead furiously. Any business will tell you that it’s cheaper to use freelancers at double the pay rate of employees than to employ people. So when I say these major companies have contempt, I think that extends to everyone on the creative side of the equation, in which I include editors, designers, audio actors, illustrators along with authors. …the level of commitment and risk taken on by a publisher in creating a new course has clearly increased enormously, whilst that for the author has not (as far as I’m aware). No-one has yet offered any reason why that should not change the terms of the partnership. Looking at it from the authors’ point of view – and that was the purpose of my post – in the past, a commitment to write a major course meant that an author spent, typically, five years of her working career on the project. Assuming that she did some teaching before writing, let’s say she starts writing at aged 30 and thus has a writing window of thirty years before retirement (it’s harder for older writers to get work). If the course works, she gets enough money under royalties to fund the next six or seven years; if it flops, she gets maybe three years’ income but has her name on the front of the book, which will get some more work. At the same time, if she is a new author, she will be paid a bare minimum to live on while writing the course. Under the fees system, for a full-scale project the commitment will also be five years, but the income remains a bare minimum which will cover only the time working. There isn’t anything left at the end of it, and she needs to find another course quickly – and in team-writing, is unlikely to get a credit for the course. This is a recipe for disillusion and rapid turnaround of writers, with a concomitant drop in quality of the creative input into projects. The investment risk being taken by publishers on new projects has fallen dramatically in recent years – print budgets for new projects have halved. What is causing the extra expense here is publishers branching out into other areas – buying examination boards, new chains of schools, classroom management systems, new digital delivery systems that can be accessed by many projects, not just one. To facilitate expenditure on these new projects, publishers are pressurising the existing creative projects. Under this new system, the level of commitment and risk for the author remains the same – the forfeiture of a significant amount of her creative life – but the potential rewards have been decimated. No-one has yet offered any reason why this should happen – or why writers should continue to work in a market that looks like it will be an impossible environment in which to make ends meet. Laurie, and I don’t know the answer to this question….have you heard of any contracts that would pay authors a small percentage of profits (plus a wage) once the publisher reaches break-even….kind of as a way to share the risk and encourage the writer and acknowledge the shared risk……..It would be heartening if such were the case. Having two relatives in Apps / Software development, a fee plus “points” or micro-payments on future sales, in addition to fees are pretty standard. Yes, it does happen, and seems like a good model. Plenty of professionals in other industries do very well from fee-based work. If the fees for professional quality ELT writing are too low, then either content isn’t being valued highly enough (and that value is ultimately determined by the people making the purchasing decisions), or there are too many people in the world who are able to write top-quality ELT content (which seems unlikely). I sense that the bigger issue is the sense of being cut out of a partnership arrangement. Maybe the inevitable result of the industry becoming more corporate, as Peter suggests? Also, don’t forget that the move from royalties to fees isn’t driven only by money – it’s also about control and the ability to respond quickly to market opportunities by having complete ownership of the content and the resulting ability to re-format or re-formulate it at will. Having to wheel out the legal department and enter into contract negotiations every time, with the risk of being refused permission, is a problem. The only thing I’d outright disagree with you on (and that’s from recent direct experience and seeing the figures) is the investment risk for publishers. For a multi-level course, it’s simply much higher than it used to be. Which costs have halved? The digital add-ons required these days can double the cost per level; and then, as Janet said, you need to publish at least 4 levels simultaneously, rather than putting out one or two and seeing how well it does. So, that’s quadrupled the investment risk, without even factoring in the cost of developing and maintaining platforms, online hosting and support etc. The exciting thing about the digital ‘brave new world’ is that it’s swept away barriers to entry, so publishers are no longer the only option for good writers. Of course they would have to let authors know at what point break-even is reached. I suspect many publishers do not have the capacity or inclination to share that information for complex projects. It would sure motivate writers however. Think of it as a profit-sharing plan which is common in many industries. In fact, my guess is that with large projects publishing companies aren’t afraid of sharing profits with authors when the book is a loser but rather just the opposite, that they don’t want to share the proceeds of a winner. Of course, the sensible thing to do in that situation is to cap the maximum amount of money that could go to an author in the event of a winner. My guess is that companies are still looking for other ways to bring intellectual capital into the company perhaps other than in the form of single solitary writers. To attract the attention of publishers (and compete) writers may have to create collaborative production companies and pitch ideas and projects as groups rather than as individuals. As I’ve often pointed out, the mobile phone companies have no issue with paying lots of tiny shares to a team, and on a monthly basis too (but I know they get their payments from users in immediately, but so would digital platforms). It’s ludicrous for publishers to claim that (say) assigning a 10% royalty to a team with a dozen authors on various splits is difficult. Author A 1.2%, Author B 0.75% etc. The computer does all the work. The outside production companies model has persisted in the music and film industries for years. I am reminded of an ELT publishing company strategy meeting a few years ago. A colleague of mine from a marketing background stood up and declaimed, on the subject of the new web strategy under discussion, that we ought to have social networking like Facebook, sales fulfillment like Amazon, dynamic content production like the BBC and, yes, micro payments like a number of technology sites. In defense of the publisher. There will be micro payments. Those micro payments will sync perfectly with current print supply-chain and revenue-collection systems, as well as royalty systems and the myriad of tax reporting systems required for a global business. There will be learning management systems and authoring tools which deliver great materials alongside classroom materials. There will be product released to market to allow teachers and institutions to choose what blend of classroom and online learning they want (oh – that one done already). There will be data capture, data cleaning, and data interrogation tools built. Data, once collected, will be subject to research (some data, perhaps not all data, this is the real issue IMHO). The data will be combined with classroom data. The resulting research will be subject to peer review, and the conclusions and discussions from that will lead to product and materials improvement. This will lead to better learning because it will give us all better information and choices (just look a some of the results obtained for some adaptive maths products in US K-12, and you can start to see how this data-managed materials improvement can work.) And there will continue to be authors whose value will be in thought-leading writing for classroom materials, as well as great writing for the online. Once the the blended learning technology playing field is in place (plus or minus a few players perhaps), it will be clear again that competitive publishing value comes from the incremental improvement of the methods and materials coming from the author group and from the open discussion of ideas, techniques and methods in journals and in conferences. The ELT field grows with the publishing business AND the limited resources of the academic institutions. There is no billion-dollar investment in research coming from any government like there is for STEM subjects in the USA. I, for one, believe, we are about to enter a true golden age of research-driven writing and publishing. But, right now, a complete new business infrastructure has to be built at the same time as maintaining a marginally profitable print business (made marginal by the length and complexity of the supply chains). Micro payments are a good example. Not even Apple has managed to sort that one out across the globe. It is taking them years to push that from market to market. Ludicrous? Not from my perspective. But it will come about as publishers are investing hugely, to the eventual benefit of the whole field. The contractual issues are complex, I agree. But I don’t know of any publisher (individual, that is) who isn’t trying to strike the right balance. I am with you on the Hattie assessment but the survey also reminds us that teachers as a whole can become much better at what they are doing than the present. One could argue that if the average machine produces just average learning (through perhaps mastery learning and better assessment)- it could be better than the performance of a wide swath of bottom rung (inexperienced/disinterested?) teachers. This is the real danger in my opinion- that average will win out over the dedicated effort to improve the profession so that we produce exceptional teachers who could learn to employ all the tools that Hattie gives us in concert with all the digital tools that are on the horizon. The real danger in the mechanistic approach to learning is that we will opt for the standardized learning of machines over the real possibility of human excellence in concert with machine learning. And for many years I believe that some/many/most EFL textbook writers were (wittingly?/unwittingly?) complicit in this march towards bland standardization (and cookbook teaching) which as you have pointed out has brought us to the present moment. The teacher remains central to the vision behind blended learning. The delivery mechanism does involve two routes however. There is a change in the dynamic for teachers. But, from what I have seen so far, from extensive travel to see blended learning being managed to fit organisational needs (with teachers central to this), that dynamic evolves toward empowerment. It is a process, however, and one that works best when teachers are given support and training. In the current traditional publishing model the publisher delivers to a distributor, and in turn the distributor delivers materials to schools. Sometimes teachers are given a choice in materials, sometimes a decision is taken for them by school administrators. Sometimes a teacher sticks closely to the book, sometimes the teacher, or the school, chooses to adapt or pick and choose from the book. The variation in some of these factors tends to be correlated to the experience of the teachers and the amount of training they receive. The coursebook (terrible beast of a thing), allows the vast majority of ELT teachers to minimise the huge job of organising syllabus and lesson plans. Some teachers are more dependent on the English File view of teaching than others. The online is just another set of tools. New tools which do have a direct-to-student component, but in the blended programme which will become the norm, the teacher still mediates that, just as she might mediate the use of English Grammar in Use (for mediate read photocopy). New scrutiny does need to be applied to those materials, just as you apply scrutiny to the text books (smile!). But the best scrutiny tends to be adoption patterns. If teachers don’t like it, it won’t maintain adoption. The data is just more information. The adaptive can be seen as simply more mechanised differentiation. Adaptive learning should be designed to do exactly what an experienced teacher does: keep a track of individual student learning and suggest revision pathways, or extension pathways. The teacher does this. But can she do it all the time, with all class sizes? It is a new tool. It will empower. It is really easy to pick a fight with new technologies before they are released and in the market place. No new technology like this is going to be designed to circumvent the key person. First releases probably won’t do much of what I describe here, but all of this requires release, then iteration (just as the text book as a technology did). And teachers, administrators, researchers hopefully will be critical to this process. Some ed tech start ups may talk in terms of teacher disintermediation. The edtech view is just a rhetoric. The design of the technology will stabilise toward something that works for teachers and learners and schools, because that is what will sell. In blended delivery what really changes, and this is a challenge for publisher, school and teacher, is that the online material is more difficult to adapt. I question that an interest in the teacher as a creative, independent force in the classroom is central to the final vision of blended learning among some major publishers. First, I would argue that foremost in the minds of many publishers is a desire to find a direct path to the student’s pocket. Second, I would argue they are now interested in standardized learning and widespread data collecting (a 1990s Microsoft-like power play to achieve dominance?). Third, comes the needs of the teacher but only insofar as the teacher is able to fit into and serve the needs of the system. When some publishers got directly into the teaching business it immediately put them at odds with their old clients (teachers/independent schools) because any expansion that brings them market share (as schools) will often come at the expense of their old partners. I am very wary of the marketing speech of publishers, some of whom are also trying to outcompete old clients using separate business units. Many publishers are no longer benign in the market place; some are wolves in sheep clothing. This evolution you are taking about sounds great, and could be great if it were directed by people whose financial interests coincided with the teachers. But when some publishers became “the school” they began to see teachers as cogs in the machine and blended learning as their mechanism for getting all these cogs to move in the same pattern. I don’t worry about the introduction of machine learning. I worry about who is going to benefit from its introduction. If I were a leader at a publisher that was not trying to compete with my old clients I would trumpet this from the mountain tops. I would align myself strongly with the interests of teaching and learning excellence and I would show customers how I wasn’t trying to move in two directions at once. As they say, strategy is the future. I think it is time for publishers to take the gloves off and make clear declarations of intent with respect to their place in the value chain. I wish to align (as a buyer) with publishers who place EFL teacher creativity, excellence, autonomy and long term sustainability at the center of their materials development strategy. I wish to align with publishers who place increased learning at the centre of their materials development strategy (something that is far from inevitable given the way marketing can lead the development of technology etc). The role of the teacher is important only as much as it supports learning. If analysis of the big data that is collected shows that a different role for the teacher is necessary, I’m quite happy with that. That is, happy on an intellectual level – I might not be quite so happy if it makes my actual job worse. It might well be that what leads to increased learning also makes me quit my job, but that should not be a worry for either the students nor the publishers. Ditto for what makes the jobs of writers satisfying – it’s entirely secondary to what makes for materials that help learners learn better. Obviously there’s a link between motivation and producing effective materials, but many other factors are almost certainly more important and it might be in the end that taking the creativity out of all our jobs is part of a process which is good for students, though obviously the burden of proof is on publishers etc to prove that it is so. To use a hopefully useful comparison, I can well imagine changes in medical care that make doctors less autonomous and motivated but lead to improved health anyway. Research in education and language learning is probably at least 30 years behind that of the already controversial field of medicine, but I can eventually see the same thing being the case for writers and teachers in our field too. Then again, the data might well continue to prove the exact opposite. Alex, you wrote: “The role of the teacher is important only as much as it supports learning.” That would seem to be a pretty major role! Of course, it’s perfectly possible to learn a second language without a teacher, without a coursebook even, and, certainly, without adaptive software. But the stats on attrition in distance learning programs (of the Rosetta Stone type) are colossal. (Somewhere else on this blog – I think (or maybe it’s on Philip Kerr’s) – I cite a study of over 200 motivated adults who embarked on one such program and of whom only about 5 made it to the last jump). Teachers can do stuff that no technology has yet been able to do, such as correctly estimate the learner’s intended meaning, provide the best ‘point of need’ prompts, explanations, models, and feedback in order to facilitate not only the optimal expression of this meaning, but the learning opportunities that this expression instantiates. Of course, not all teachers can do this, but no machine can. Scott, I read the Nielson, K. 2011. reference in your earlier post, the article that looked at attrition rates in Rosetta Stone type courses. Thanks for the reference – I found it in pdf form online very easily. I myself have spent several hours looking at GlobalEnglish and EnglishTown (logged on via students at my language school who have subs bought for them as part of employee-wide deals with their large multinational employers). The former is now Pearson-owned and the second CUP-partnered. They are in the same category as Rosetta Stone: largely self study. The first thing to say is this: when I looked at them (18 months ago) they were simply not very good. My short description of them would be ‘bulked up boredom’. It is possible – only possible – that something better would have lower attrition rates. The jury is out because there isn’t anything better out there. Voxy, a newcomer, claims to be less boring and is having some success. Pearson just funded them and now have place on their Board. The second point is this: the two I looked at offer online live tuition with a real teacher as well (don’t know about Rosetta and it wasn’t mentioned in the article). Something along the lines of a small group Skype/Google Hangouts session. The big name in live online lessons is WizIQ. I haven’t seen it in action. These days things like WizIQ are quite sophisticated – for example with ‘breakout rooms’ to simulate pairwork, with the teacher monitoring. Shared ‘whiteboard’ for post-task feedback by the teacher. In any case, there are already plenty of freelancers offering 1:1 English lessons via Skype – google it and you’ll quickly find dozens. Now, do online lessons with webcams and the people not physically present in the same room work? Probably not as well, but by what degree? The jury is out – it’s early days and will depend on the quality of the teaching etc. My guess is that learners who might consider group lessons in front of their laptop/PC rather than in a classroom are far from a language school, with ‘far’ referring to physical distance, suitability of time slots, and financial resources. An important point needs to be made about Rosetta/GlobalEnglish/English Town. It explains why attrition rates are unimportant to the success of these companies. They do not exist to answer the question posed by the corporate training manager: ‘what product can I give to all my employees to help them to speak English better?’ This is just the ‘story’ that provider and customer both need to believe in. They exist to answer the real, unspoken, question: ‘what product can I give to all my employees that allows us as a company to respond to the real needs of the workplace, that is much (much much much) cheaper than having a contract with a local language school to send in teachers for everyone, and that will stop my employees from bothering me with constant requests for language training?’. To that question, the answer (Rosetta, GlobalEnglish, EnglishTown) is a spectacularly good one. One final point: you want to get fit. You enrol at a health club. The facilities are good, maybe even great. It’s ‘self-access’ but if you pay more you can get a personal trainer (= live online teacher in my analogy). You go for a few sessions, then inertia, the rain, drinks with a friend, child care, breaks your habit and you soon give up. You are not alone – attrition rates at health clubs/fitness centres are very high indeed. What are the implications here? That the fitness centre is bad and shouldn’t exist? That the fitness centre is somehow in the wrong? For me, no. For me, the implications are these: 1) beware hyped promises (although in practice this is very difficult to do: we all want to believe the story that the club membership will lead directly to a newly toned body, and we fall for this story voluntarily); and 2) watch your wallet – make sure you have a trial period before committing money, and that it’s easy to stop your sub later. in one significant respect, [it] differs from its competitors. It combines the usual vocabulary, grammar and dialogue work with social networking. Users can interact with text or video, and feedback on written work comes from other users. Yes … ‘the usual vocabulary, grammar and dialogue work’. The word ‘usual’ begs so many questions about quality, which I know is subjective. What I can say, as a materials writer with over a dozen titles, all rigorously and well edited, is that any editor from the print side of Pearson or CUP would blush a very deep shade of purple if confronted with the language analysis, (lack of) context, and poorly implemented practice exercises of GlobalEnglish or EnglishTown (as I saw them 18 months ago). They didn’t even implement the easy things that online does better than a self study print book, such as a message explaining why a wrong answer is wrong. The more I think about the commercial realities of all this, the more I think that content is not king. Telling training managers and users stories they want to hear is king. Paul, a quick correction – EnglishTown isn’t partnered with CUP. They have something going with Cambridge University (https://www.englishtown.com/online/cambridge.aspx), but that’s a totally different thing. The trouble with looking most of the online stuff is I end up crying with laughter. The EF demo of an interactive conversation class has a student saying “My cousin and I are planning on visiting Europe next month and I’m wondering about the best way to order a hotel room.” The teacher then explains that you can ask for “twin beds.” So there are people in the world who can say “I’m wondering about the best way …” who don’t know “twin beds” and are incapable of consulting a dictionary, or online translation? It surprised me that they use the EF brand name… if it started in 1965, this must be “En Famille” as it then was. We had some of their dire 1970s coursebooks that we used to look at for fun. Rosetta Stone? They had a picture of a white cloud in a blue sky. They teach a word for the picture, let’s say it’s “glub.” But does “glub” mean sky, cloud, blue, white or up? Self-study and attrition. It has always been thus and I doubt it’s getting better. Charity shops have 26 or 48 cassette or LP Berlitz courses and the rule is that the shrink-wrap is broken only on cassette one. I do know people who succeeded with these, but they were people studying their fourth or fifth language, and either language teaching professionals or highly-motivated diplomats heading for a new assignment. It will be interesting to see what they produce. Here’s a starter for any Cambridge University boffins reading this blog. When I looked at the English Town website 18 months ago I chose Making Suggestions from the Business English area to look at in detail. I have all the screen grabs. In the practice exercises I was able to keep going getting wrong answer after wrong answer deliberately, until finally I chose the last (and therefore correct) option. Sure enough, random monkey-style, I got full marks and a big green tick on the screen. Now THAT’S what I call accelerated learning. Marvellous! Really Scott? I’m by no means new to the profession, but I am still a full-time teacher, and all the things being discussed on this blog are things which have had very little impact on my teaching so far. The biggest impact so far is probably just the odd headache from the IWB projector… or looking back further, that students can email me now (which, amazing to remember, wasn’t really a possibility when I started teaching 18 years ago). I don’t imagine for a moment that publishers contemplate setting up new sites with new mechanisms for accepting micro-payments. They will be utilizing what Amazon / Kindle, Apple, Vodafone, EE etc have already set up. So the publishers problem is receiving (say) £67,342.56p for the month on “ENGLISH-THE MEGA COURSE” and assigning percentages to (say) 12 authors in a team. It may run to several decimal points each, but it’s nothing Excel can’t deal with! Interesting, Bryan, but (at the risk of becoming a bore!) I have to reiterate my comment to Janet: where is the TEACHER in all this? There seems to be an unstated assumption – not just in your comment and Janet’s post – but in much of the discourse of educational technology (and about coursebooks for that matter) – that learning is all about the delivery of content plus testing. If we could only get that right, then educational nirvana will have been achieved, and we can all retire to the farm. Nevertheless, all the big-number-crunching research into educational effectiveness (e.g. Visible Learning, Hattie 2009) suggests that the teacher is still the single most important variable in the equation, with such qualities as teacher clarity, teacher-student relationships, feedback provision, and problem-solving teaching all showing strong effects. (And, it should be added, distance learning and web-based learning showing only minimal effects). I completely understand why publishers (and writers) should be focused on materials delivery, but if they ignore the crucial role played by those who mediate the learning process (including the way that the materials are used), they not only risk alienating these key players, but their materials will not be worth the silicon they are encrypted in. If you’re that confident that the teacher cannot be effectively eliminated Scott, why worry? Shouldn’t you be thinking “Let the publishers bankrupt themselves trying to wean students off teachers if they like”? Good point Alex! But in the time it will take before they are bankrupted (pace the case of Cengage), teachers risk being further ‘disintermediated’ to the point that many of them will give up. If I was entering the teaching profession now and realised the extent to which learning is being reconfigured as data analytics, I would be exiting the profession. Despite my perhaps more positive sounding comments above, I’d agree with people’s general conclusions on the present quality of learning provided by technology-based self-study websites etc. I also think there is some usefulness in making such generalisations, in the same way as I often tell my students to avoid self-study materials produced here in Japan. However, when it comes down to it they are just generalisations, on the same level as “avoid L1” and “pairwork is good”. Therefore I think it is more useful most of the time to stay focused on learning itself on a case by case basis rather than the other things which might often (or even almost always) have an impact on learning such as, perhaps, the creativity that writers and teachers are allowed to have in how students are taught. If we keep that focus, I predict that we will have to admit not too long from now that one or two technology-based learning solutions are better for a good chunk of students than the classrooms which they are also being offered. And as far as extra help outside the classroom goes I think we are already there, because when I come to talk to students about their progress and possibilities for extra work outside the classroom, I’m about as likely to suggest something app or internet based as a book – especially if, again, that helps them avoid the locally produced materials by organisations like NHK (“the Japanese BBC”), which are I’m sure every bit as comically bad as that EF stuff. As stimulating as these general conversations are, isn’t what we need more critical analysis of present learning technologies in places like English Teaching Professional magazine? May I add a note from the commercial world just down the supply chain from the ELT publisher? Of the 25,000 + ELT products (ISBNs) currently published from the UK, less than 5% sell more than 1 copy a week or 50 copies a year (BEBC figures) . The actual titles may change with different distributors or markets but I suspect the percentage won’t alter significantly. The relevance of this statistic to this blog is to highlight the significance of the commercial blockbuster ( not least in covering all the publishers’ costs attached to the 95%) and to just downright depress any potential author. As a matter of personal opinion, I suspect that if the digital product is going to replace the printed book, the major providers of content (authors) are likely to be working with digital companies who understand digital and not with the current book publishers who are trying to! Maybe we should be less concerned about the current publishers’ financial arrangements with authors and let them worry about their own futures (and that of the bookseller)? I suspect the brave new world will be digital direct to student but still retaining the need for the teacher to guide, shape, and help deliver the digital dream .